Discussion in 'Mac Apps' started by QueenKong, Nov 9, 2018. Record Anything. Edit Everything. Share Anywhere. 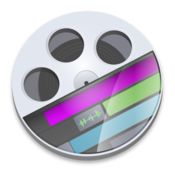 Telestream ScreenFlow® is award-winning screencasting and video editing software for Mac. With high-quality screen, video, audio, and iOS capture as well as powerful editing features, ScreenFlow helps you easily create incredible looking videos and animated gifs. 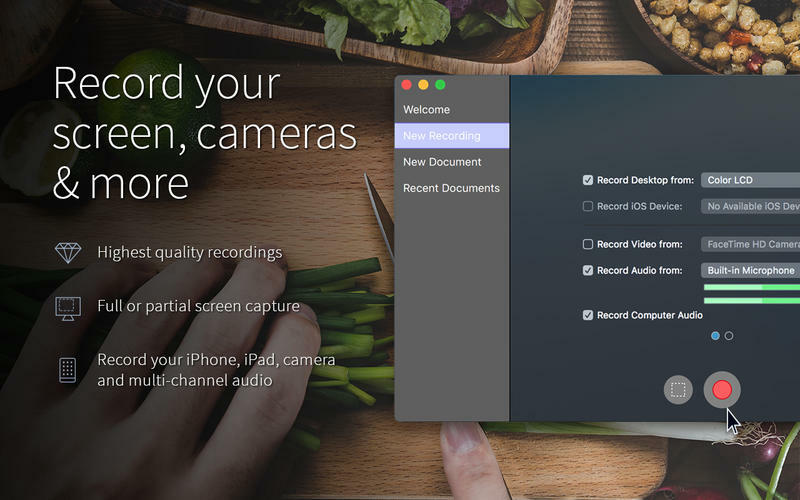 ScreenFlow can record any part of your screen, or the entire monitor, while also capturing your video camera, iPad or iPhone, microphone or multi-channel audio interface and your computer’s audio – all at the same time! ScreenFlow has won the prestigious Apple Design award for its easy-to-use editing interface, which has been updated with a new look and more controls. The editor instantly loads your recorded video and audio sources and lets you dive-in to quickly and creatively edit your video, add additional images, clips, text, or more recordings. Then polish it with professional-level animations, video motions, annotations, transitions and audio or video filters for incredible looking results. When you are done, use the built-in sharing to publish your video directly to Vimeo, YouTube, Wistia, Facebook, Google Drive, Dropbox, Box, Imgur or to Telestream Cloud for professional transcoding. You can also export an animated GIF, ProRes file or MP4 directly to your desktop. Retina display? No problem. 5K display? We have you covered there too. Capture any part of your screen or just capture everything. Our efficient algorithm enables the best full-screen, high-resolution screen capture with brilliant detail, while keeping file sizes low. Then you can zoom in on key areas during your video to give even better detail for your audience. Easily add images, text, audio, video transitions and more to create awesome-looking videos. Add zoom and pan effects with video actions, highlight your mouse or anything on screen with callouts, draw on-screen with annotations or make your text pop with text animations. Also nested clips, closed captioning, chroma key, video motions and video animations such as spring, gravity, pulse, are just a few of the touches that make ScreenFlow editing easy and powerful. Native to the macOS environment, you won’t find an easier to use or more intuitive interface for editing video. ScreenFlow makes the editing video easy, so users can spend more time creatively telling their story. ScreenFlow makes exporting easy with the new automatic export options. ScreenFlow will optimize for quality and speed of export without any customizations needed. If you want to have more control, multiple export options can be customized to your exact specifications. kunst.boxer, jfgaguino, Danny_Su and 4 others like this.